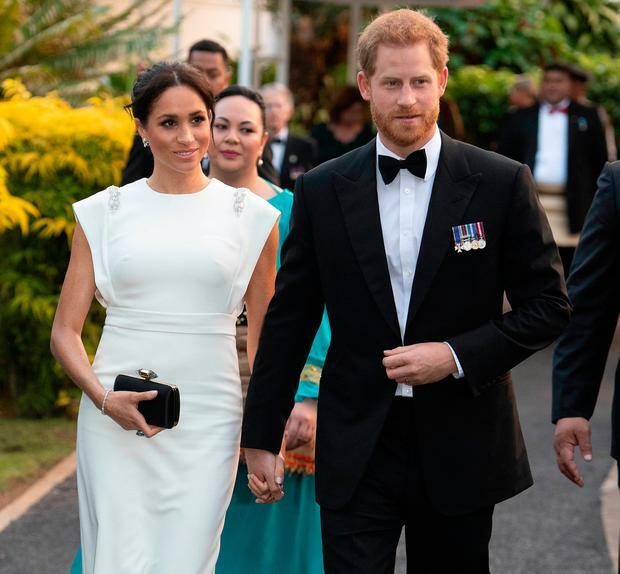 The Duke and Duchess of Sussex attend an official welcome at Consular House in Tonga on the first day of their visit to the country. Or something like that. In the case of Meghan Markle, Britain's new Duchess of Sussex, her right-hand woman is Jessica Mulroney, her most trusted confidante who helped keep Meghan's burgeoning relationship with Prince Harry secret in 2016 and also happens to be her personal stylist. After a few questionable outfits immediately after her May wedding, the former Suits star has returned to the same flawless choices that earned her so many fans before the big day and it looks like the secret is Mulroney's influence. Despite the continents between them, the pair remain close, confirming a friendship that was first established in 2011 when Meghan landed her career-making role on Suits and moved to Toronto from Los Angeles. And for years, before her every move was dissected by the public, they travelled the world together and Jessica was a staple on Markle's now-defunct Instagram page. Although Meghan still hasn't conformed to the expectations of fashion diplomacy, frankly, her looks have been so beautiful that no one really cares. Not to mention the fact that it was down to Ms Mulroney that we all had the jump-for-joy moment at seeing Irish designer Don O'Neill's THEIA line get global recognition during a state dinner in Tonga. In fact, it was Mulroney who found the look and adjusted it to their combined taste, asking the Kerryman, who based in New York, to customise a white version of his turquoise gown and discreetly ask for extra seam allowance. Mulroney remains one of the few people from Meghan's former life whom she trusts exponentially and it's not only her valued fashion advice and connections that make her indispensable professionally, but her support and discretion privately. In the early days of the Sussesex's romance, the new couple sought refuge at her home in the upscale Moore Park neighbourhood in order to dodge photographers. 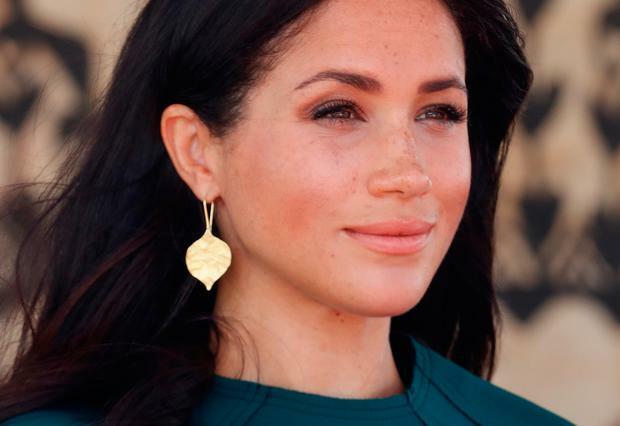 In fact, according to one biography, it was Harry's popularity with their young children was among one of the deciding factors that made Markle see a definitive future with him. "When Harry came to visit the family he brought a bag filled with gifts. He won the kids over in an instant. He was brilliant with them and I think what swung it for Meghan was how good Harry was with them," a source said. "I actually think that might have been the moment Meghan really fell for Harry. He got to know the Mulroneys quite well, and they liked Harry from the beginning." Their strong friendship continues and while Mulroney is now enjoying the additional fame that comes with being royal-adjacent. She's no stranger to high profile clients as she worked with Sophie Gregoire-Trudeau ahead of her husband Justin's inauguration as Canadian prime minister which went so well, she's now on hand for all notable gigs. There's still six more days left of eye-watering fashion left and we can't wait to see what this pair come up with next.